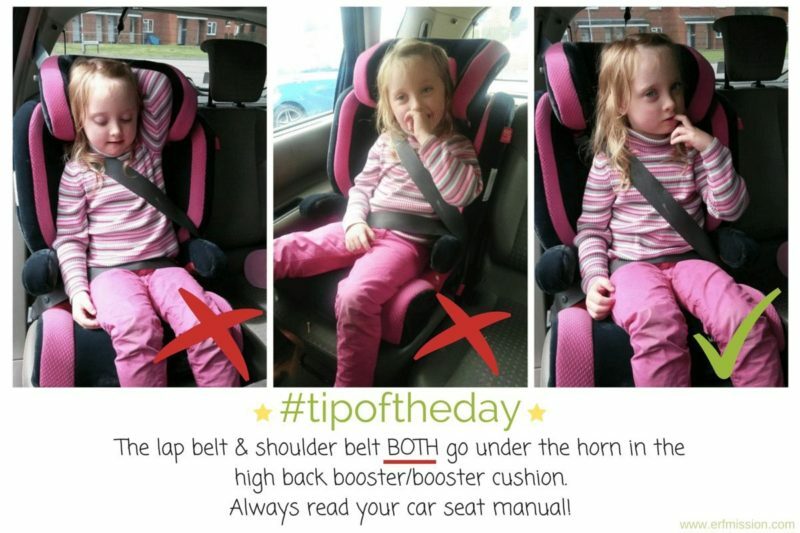 One of the most common errors once the child is old enough to use a high back booster – is the belt path. Above I have shown my daughter using the most common errors. Please please please always make sure that when you buckle in the child – the seat belt is using the correct routing across the child and HBB! It’s so very very important because error in seat belt routing can lead to serious injuries as the booster is not able to do its job properly.